We’ve heard through the grapevine that this cast knows what’s going on. A majority of the current national touring cast of Motown the Musical will head to the Great White Way when the musical returns to the Main Stem this summer. 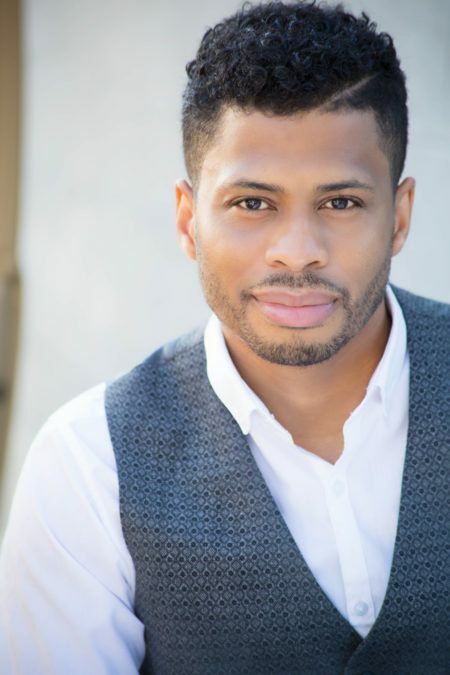 Chester Gregory will lead the production as Berry Gordy, with three tour headliners who were also in the ensemble for the original Broadway run: Allison Semmes as Diana Ross, Jesse Nager as Smokey Robinson and Jarran Muse as Marvin Gaye. Performances will begin on July 12 at the Nederlander Theatre, where the musical is set to play a limited engagement through November 13. Gregory returns to the Great White Way after appearing in Hairspray, Tarzan, Cry-Baby and Sister Act. Semmes’ additional credits include The Book of Mormon on Broadway and The Color Purple on tour. In addition to Motown, Nager has appeared on the Main Stem previously in Scandalous, Mary Poppins, Good Vibrations and Mamma Mia!. Muse’s stage credits include White Christmas on Broadway and American Idiot and Dreamgirls on tour. The cast also includes J.J. Batteast and Leon Outlaw Jr., who both make their Broadway debuts as they share the roles of Young Berry, Stevie Wonder and Michael Jackson. Rounding out the ensemble are Nik Alexander, Erick Buckley, Chante Carmel, Chadaé, Lynorris Evans, Anissa Felix, Talya Groves, Rod Harrelson, Robert Hartwell, Rodney Earl Jackson, Jr., Trisha Jeffrey, Jamie LaVerdiere, Elijah Ahmad Lewis, Loren Lott, Jarvis B. Manning, Jr., Krisha Marcano, Marq Moss, Rashad Naylor, Ramone Owens, Olivia Puckett, Nicholas Ryan, Jamison Scott, Joey Stone, Doug Storm, Martina Sykes, Nik Walker and Galen J. Williams. Directed by Charles Randolph-Wright and featuring a book by Motown founder Berry Gordy, Motown highlights over 50 hits from the record company’s catalogue. The show tells the story of Gordy’s rise from small-town dreamer to record mogul. Along the way, he discovers a slew of musical talent, including Stevie Wonder, Smokey Robinson, Marvin Gaye, Michael Jackson and Diana Ross, with whom he sparks a romance. The show ended its initial Broadway run in January 2015 at the Lunt-Fontanne Theatre.